This book provides a concise introduction to the essential concepts in programming languages, using techniques from operational semantics. It is addressed to undergraduate students, as a complement to programming languages or operational semantics courses. logic languages: the last part of the book gives an overview of logic programming using Prolog. After a general description of each family of languages, their semantics are studied using abstract machines and structural operational semantics. 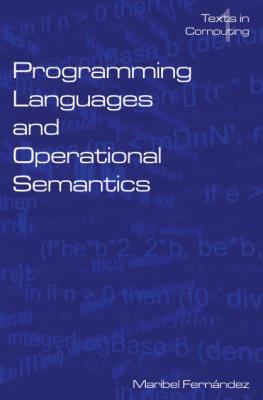 The book gives an in-depth analysis of the basic concepts in programming languages instead of a mere survey of languages, privileging the understanding of the basic techniques underlying the semantics of languages over simply describing their properties.